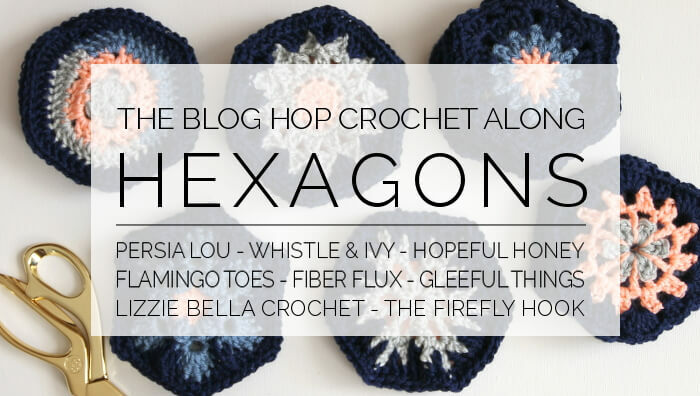 Our eight bloggers will all be sharing a new hexagon pattern. 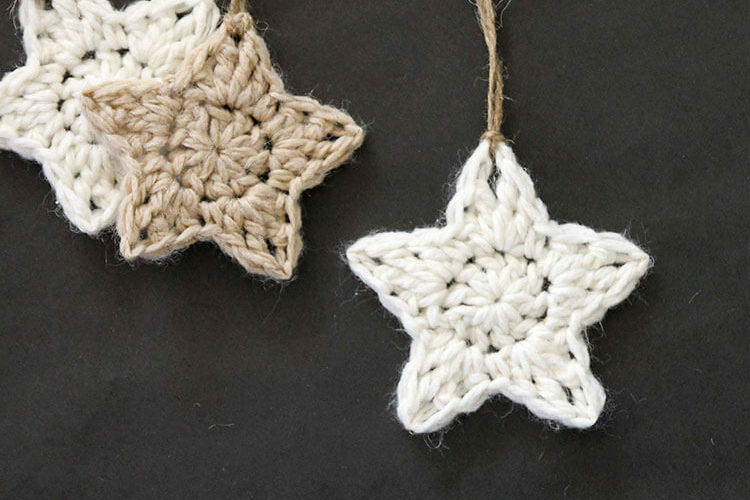 Try out each pattern as we go along! It’s a great way to learn and practice new techniques. You can use all of them in your final project or pick your favorites. Then, we will each be posting tutorials for turning your hexagons into something great! 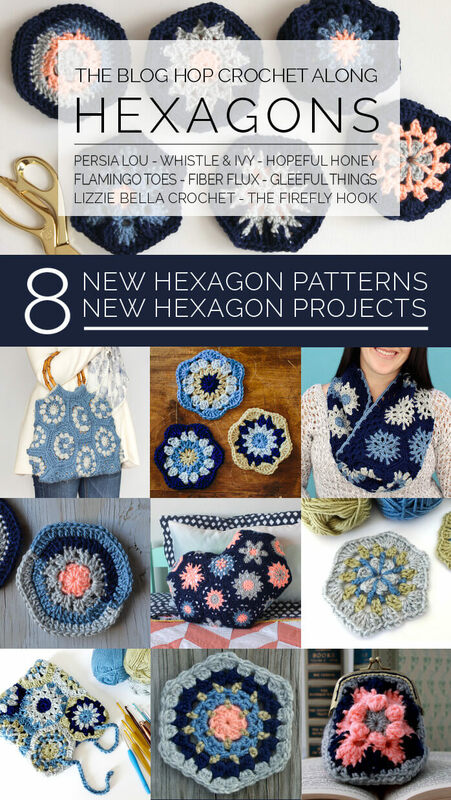 You pick the project and the hexagons – we will show you how to put it together! The great thing about this is that our projects range from a small to large! You can make some of each hexagon pattern or just pick or favorites. Each finished hexagon should be about 5 inches across from corner to opposite corner. This cute coin purse by Flamingo Toes used only three hexagons. The Firefly Hook’s pretty floor pouf used 50 hexagons and 7 pentagons (pentagon pattern will be included with her hexagon post). Gleeful Things’ pretty cowl uses 16 hexagons, but you could use more or less to adjust the length. This cute project bag from Fiber Flux uses 10 hexagons. Whistle & Ivy’s fun camera strap uses 10 hexagons. 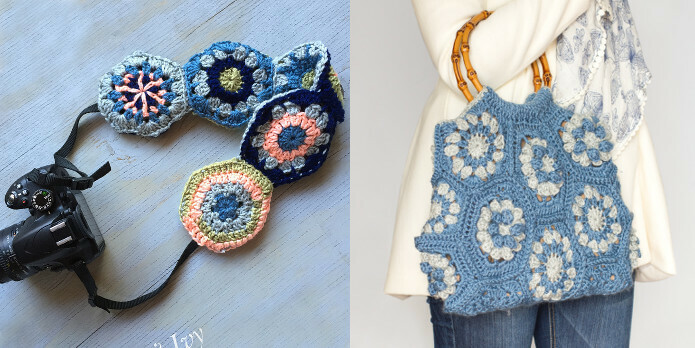 This gorgeous bamboo handle bag by Hopeful Honey used 18 total hexagons (14 standard size and 4 smaller hexagons crocheted with a smaller hook). Persia Lou’s heart-shaped pillow uses 24 hexagons. Lizzie Bella Crochet’s round ball pillow uses 20 hexagons and 12 pentagons (pentagon pattern will be included in her hexagon post). Yarn! 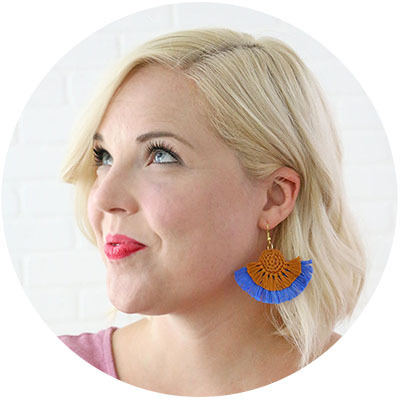 Our bloggers were provided with Knit Picks’ Brava yarn, which is a lovely worsted weight acrylic yarn that comes in lots of fun, bright colors. Any worsted weight yarn should work. The amount needed will depend on the project you choose. Cute Crochet Emoji Ghost Bag – Free Halloween Crochet Pattern! Excellent! Can’t wait to get started. dude! I’m pumped to do this! Thank you for holding this, I love learning new stuff! Yeah! hi will there be an afghan ? 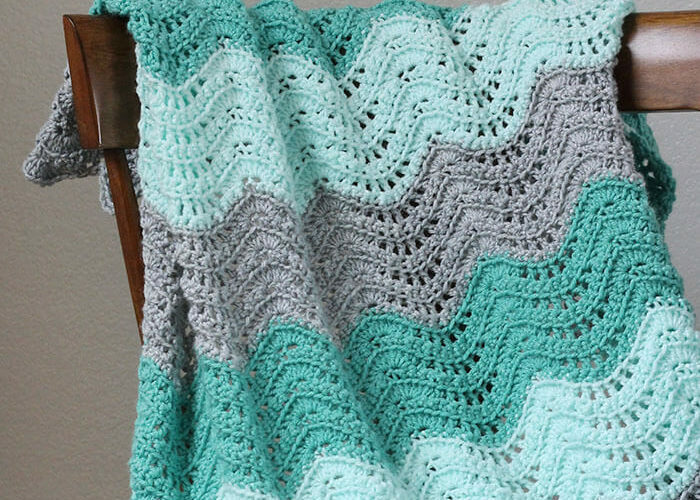 Hi Debbie – We don’t have any afghan projects planned, but you could definitely turn your hexagons into an afghan! That would be great! I’m a beginning to learn how to Crochet.